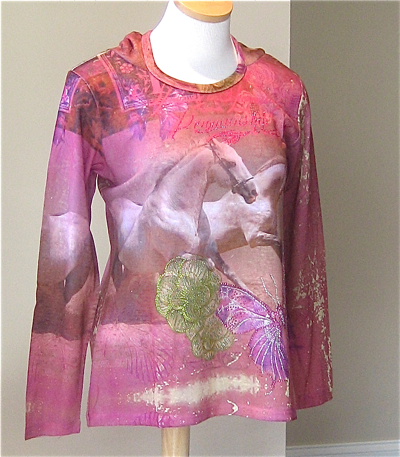 White Horses Hoodie T Shirt in Pink. Reflective. Long Sleeve. Add a touch of glitter and glamor with this pretty sequin T shirt. The light reflects beautifully and it has a slightly longer cut to flatter every figure. 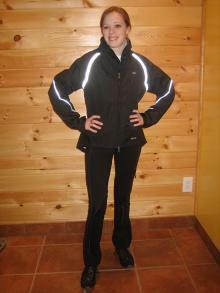 Lightweight with long sleeves and hoodie. Fabric is 100% Polyester Washing: Turn Inside out Hand Wash Cold. No Iron. No Bleach. Lay Flat to Dry. Sleeve length is measured from shoulder.